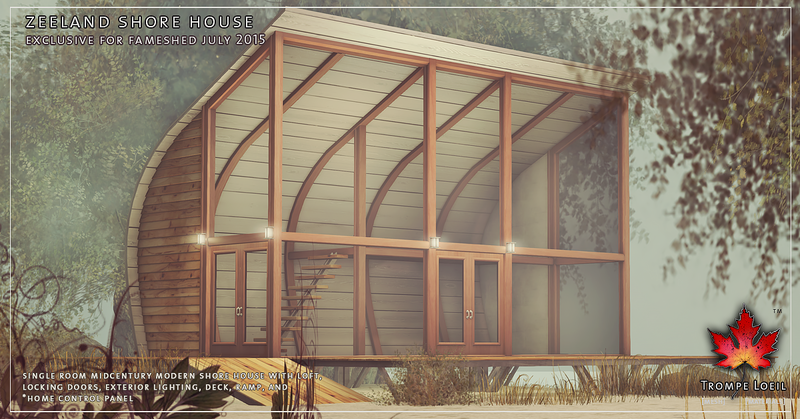 Midcentury modern soaked in sunshine – grab your own slice of style with our Zeeland Shore House and matching living room furniture, exclusively at FaMESHed July! Floor to ceiling windows and a graceful curve define the new Zeeland Shore House. 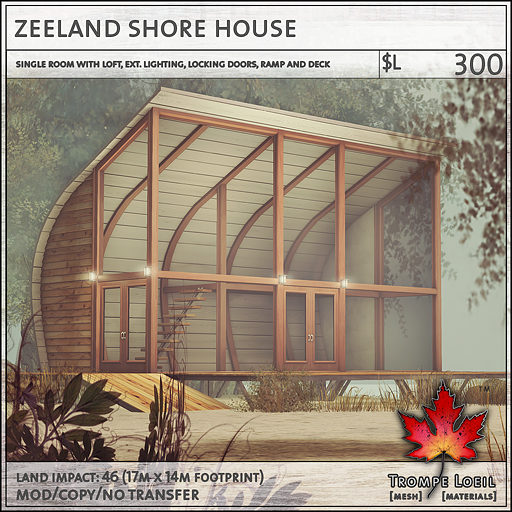 This single room cabin includes small loft, stairs, exterior lighting, deck and ramp, and locking doors with our *home control system. 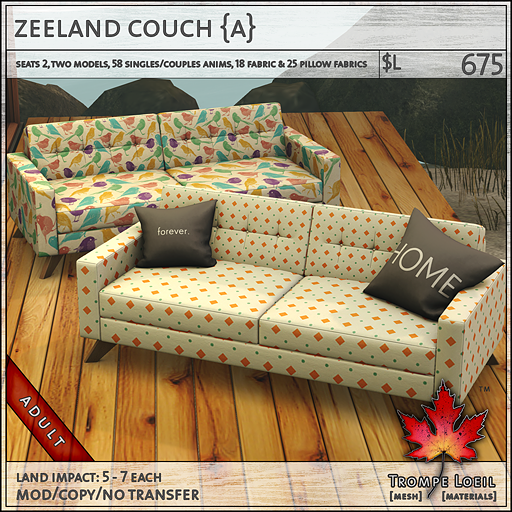 Designed to take advantage of brilliant outdoor seaside views, this streamlined style will showcase your favorite Euro-inspired home furnishings with flair! 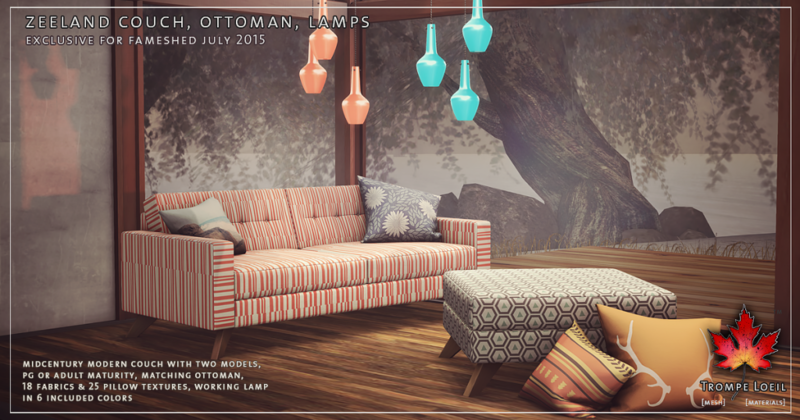 Full size demo available at FaMESHed – look for the sign! 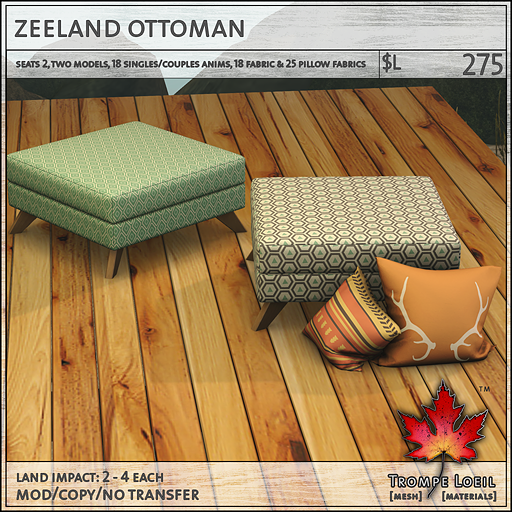 From the shore to the den, to living rooms, porches, game rooms, sleepaway camps and hipster lofts, the Zeeland Couch, Ottoman, and Lamps make a fun, colorful, timeless statement that fits any lifestyle! 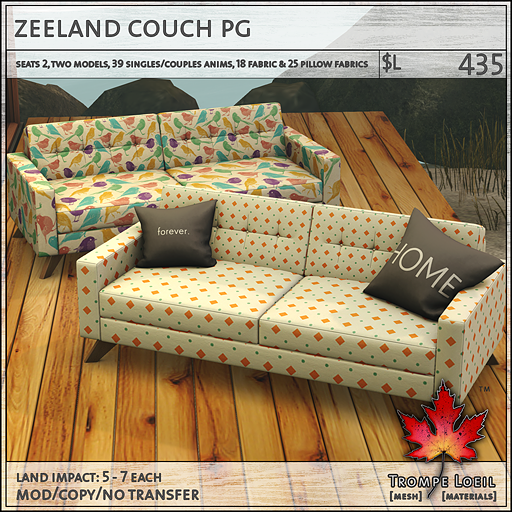 Couch available in PG and Adult maturities, Ottoman sits one single or two for PG couples poses, and both include tons of patterns and color options for both fabric and pillows. 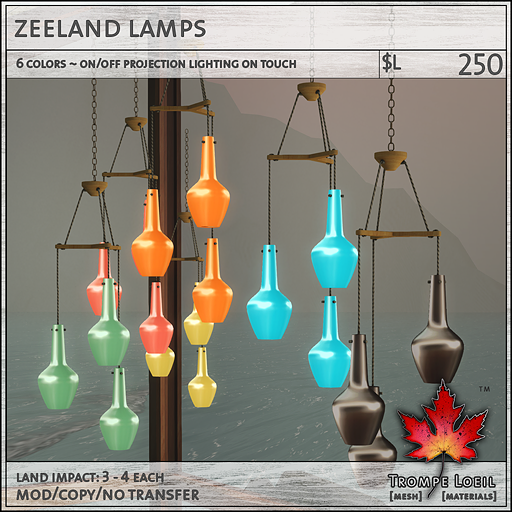 Lamps turn on and off on touch with projection lighting and include 6 shade colors!